I decided to take a walk around the history park this morning just to see what the activity was like. There are no eagles on the nest this year but still plenty of other activity around. 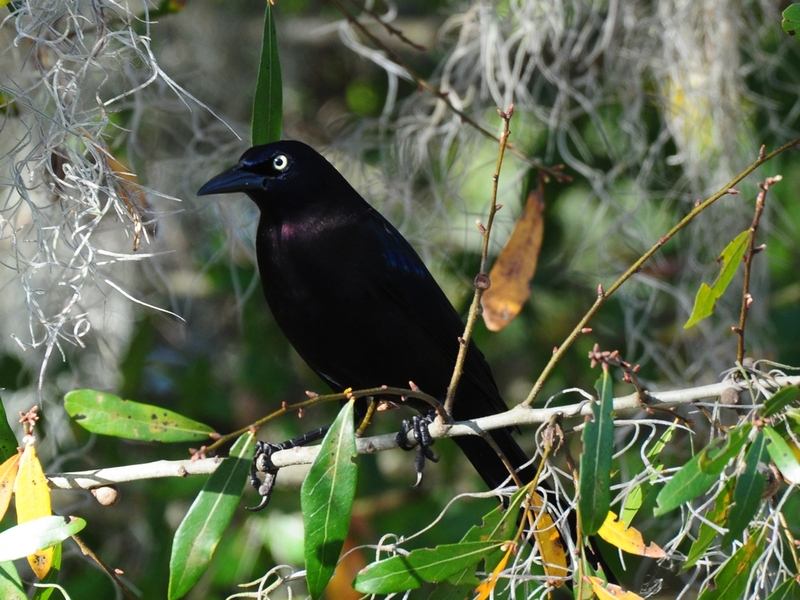 This Grackle was sitting near a bird feeder waiting his turn (uncommonly polite for a grackle). The snags were attracting woodpeckers too. 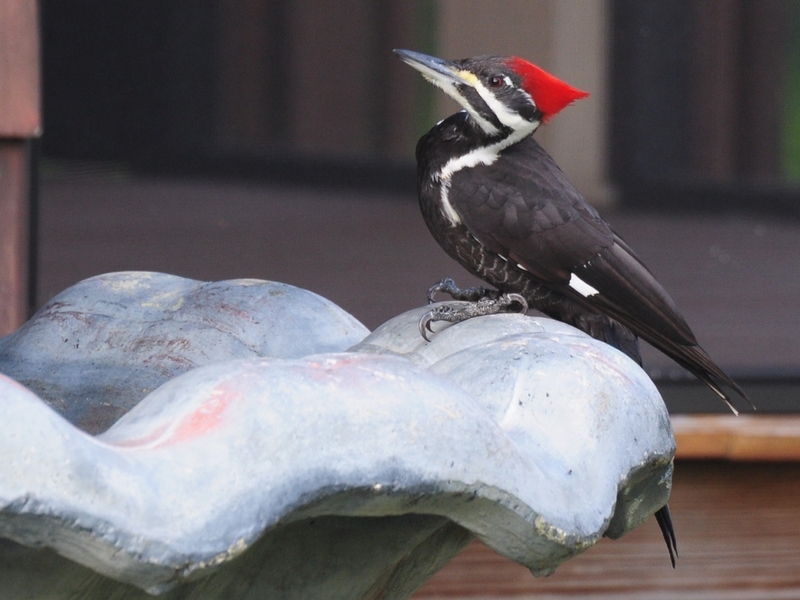 I found this little Red-Bellied on the snag and caught the Pileated taking a break on the fountain in front of the Price House. 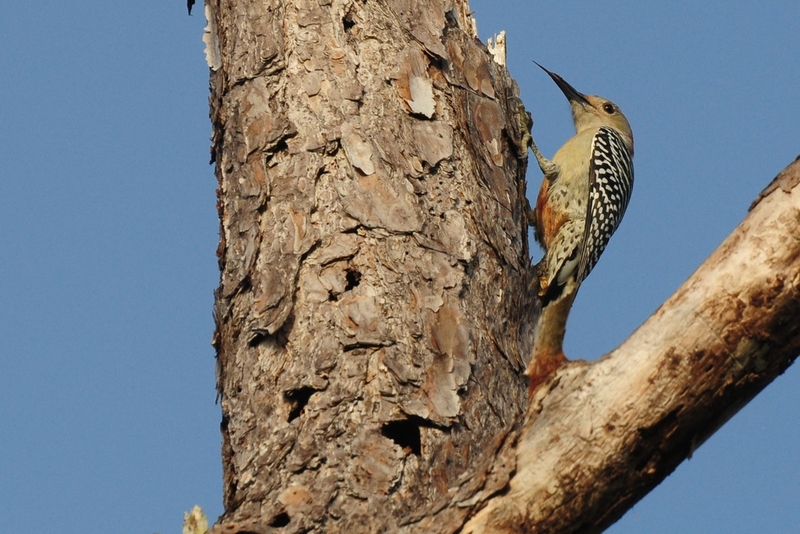 This entry was posted in Bird, Park and tagged Grackle, Photography, Pileated, Punta Gorda History Park, Red bellied, Woodpecker. Bookmark the permalink.